Winter Sunset Maiden Departure, Port of Miami, November 15, 1997. 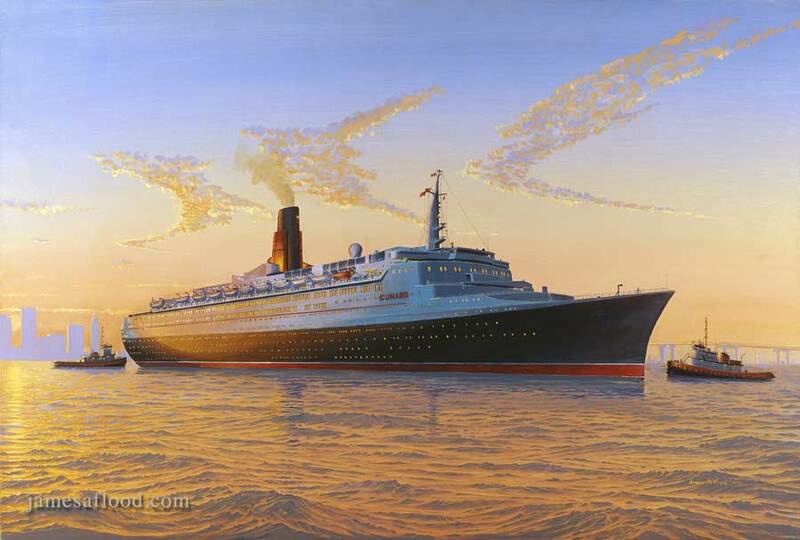 The artist was invited by Mr. Jay Black, along with noted ocean liner aficionado Dr. Richard Gotlieb to view this famous liner aboard Mr. Black's boat, on a crisp and lovely Saturday in the early winter of 1997. It was on this occasion the artist was commissioned by Mr. Black to portray this magnificent ship.